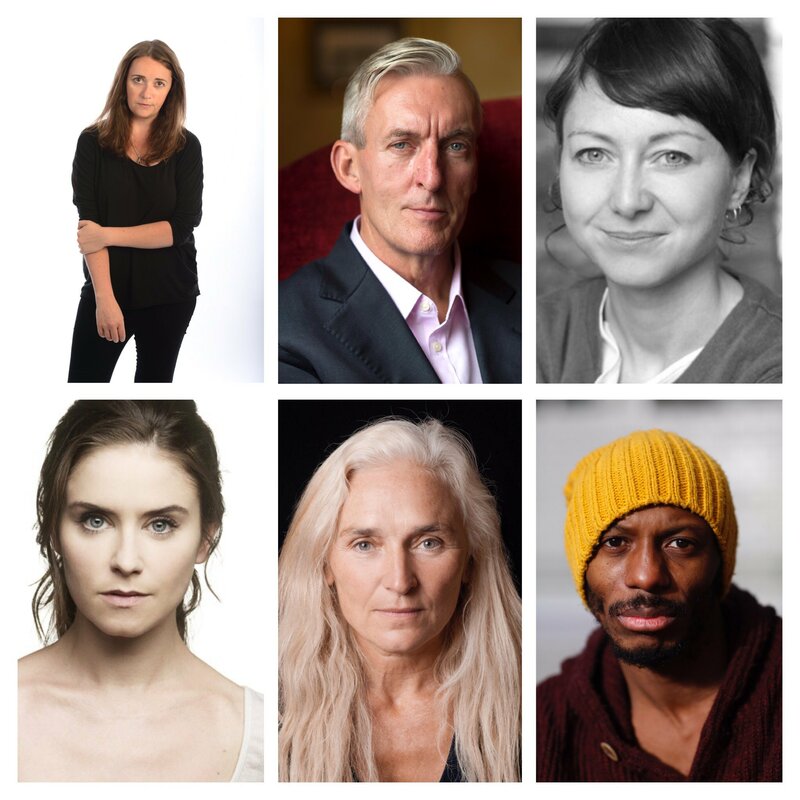 We are delighted to announce a Danse, Morob post-show discussion with Laurence McKeown, Olwen Fouéré, Emma Martin, Mani Obeya and Judith Roddy. The post-show discussion will take place on Saturday 21 January following the 7.30pm performance. Click here to read more about Danse, Morob and to book tickets. Laurence McKeown is an author, playwright, and former political prisoner in the North of Ireland (1976-1992). During that time he took part in the protests for the return of political status and spent 70 days on hunger strike in 1981. Upon his release Laurence completed a doctoral thesis at Queen’s University, Belfast, entitled, Unrepentant Fenian Bastards: the social construction of an Irish Republican Prisoner Community which looked at the political and organisational development of republicans imprisoned in Long Kesh from 1972-1998. The thesis was published in 2001 entitled Out of Time. The book contained additional interviews with prisoners leading up to the closure of Long Kesh in July 2000 and the release of all political prisoners under the terms of the Good Friday Agreement. From 1998 – 2007 Laurence worked as Project Coordinator with Coiste na nIarchimí, the umbrella organisation for republican ex-prisoner groups throughout Ireland. Una Mullally is an award-winning journalist, author, broadcaster and spoken word artist from Dublin. She is a columnist with The Irish Times and also contributes opinion pieces to The Guardian. She co-founded the queer spoken word event Come Rhyme With Me, and co-founded the Irish Times Women’s Podcast. She was recently appointed as the Independent Chair of Ireland’s first National LGBT Youth Strategy. In 2015 she was named Journalist of the Year at the GALAS LGBT Awards. In 2014, her first book In The Name Of Love, an oral history of the movement for marriage equality in Ireland, was published by The History Press. She is currently working on an anthology to be published in 2017, and on long-form poetry for which she received a residency at Centre Culturel Irlandais in Paris in 2016, and is developing a journalism diversity project called Journalism X.
Olwen was born in Connemara of Breton parents. She is an actor, creator, director and Artistic Director of TheEmergencyRoom. Previous work with the writer Laurent Gaudé includes her translation and performance of his play Sodome, my love which premiered in Ireland in 2010, produced by Rough Magic in association with TheEmergencyRoom. Olwen recent work for theatre includes the internationally acclaimed riverrun (her adaptation and performance of the voice of the river in James Joyce’s Finnegans Wake), her performances of Lessness by Samuel Beckett and the role of Death in Death at Intervals directed by Kellie Hughes at Galway International Arts Festival and Dublin Theatre Festival 2016. Recent film includes The Survivalist (IFTA Nomination for Best Actress in a Supporting Role) written and directed by Stephen Fingleton. Recent awards and honours include the Herald Archangel Award of the Edinburgh Festivals 2014, the Irish Times Special Tribute Award 2013 and an Honorary Doctorate (Doctor of Philosophy-Honoris Causa) from Dublin City University for her enormous contribution to the arts and culture in Ireland. Upcoming projects include collaborating with the artist Jesse Presley Jones to represent Ireland at the Venice Biennale 2017, the role of 3 in Ballyturk by Enda Walsh at the Abbey Theatre and Yael Farber’s Salomé at the National Theatre, of Great Britain. Emma is artistic director of United Fall, a dance-theatre company whose previous productions include Dancehall (Dublin Theatre Festival 2015), Tundra (Dublin Dance Festival 2014), Dogs (Dublin Fringe Festival 2012), Listowel Syndrome (Dublin Fringe Festival 2010). Her work has been commissioned by Dublin Dance Festival and co-produced by Dublin Theatre Festival. United Fall is company in residence at Visual Centre for Contemporary Art and Dance Ireland Associate Artist. Most recently she collaborated with Enda Walsh on Arlington (Landmark/ Galway International Arts Festival, The Abbey Theatre, St. Ann’s Warehouse). Other choreography/movement credits include: Taming of the Shrew (The Globe Theatre 2016), Romeo & Juliet(Gate Theatre, Dublin 2015), Luck Just Kissed You Hello (HotForTheatre/ Galway International Arts Festival 2015), Teh Internet is a Serious Business (Royal Court 2014). A new United Fall production is coming up in 2017. Mani Obeya is a Nigerian born, British raised Dancer, Singer/Songwriter and Choreographer. He trained at Arts Educational School, Ballet Rambert and Dance Theater of Harlem before becoming a Soloist at both Heidelberg StadtTheater and NationalTheater Mannheim and Unterwegs Theater Heidelberg. This was followed by four years of working in the free scene in Wien mainly performing with Tanz Theater Wien under the direction of Liz King. Guest choreographers included Catherine Guerin, Simon Frearson and Nigel Charnock. Mani also created small works for the group before becoming a Soloist with Volks Oper Wien where he danced and choreographed until 2002. From 2002 to the present Mani has worked with Michael Keegan Dolan’s Fabulous Beast Dance Theatre performing all over the world in various pieces including the Olivier Award nominated Giselle, Olivier Award nominated The Bull and Critically acclaimed James, Son of James. He was the Rehearsal Assistant for critically acclaimed Inno-centes, which has recently toured the UK with Michael Keegan Dolan’s work and was Director’s Assistant for Keegan Dolan’s Loch na hEala/ Swan Lake which made its Premiere in 2016 and is currently touring the world. Mani works with the National Youth Dance Company, based at Sadler’s Wells Theatre in London. He was also the choreographer of Lord of the Flies / Survival Mode at the Deutsches Theater, Berlin which premiered in February 2016. Judith Roddy trained at the Samuel Beckett Centre at Trinity College, Dublin, and at the British American Drama Academy, Oxford. Judith’s previous work includes: All that fall, The Seagull and Other Birds, Everyone Is King Lear In His Own Home, A Doll House, The Rehearsal: Playing the Dane and The Importance of Nothing (all with Pan Pan). Recent theatre work includes The Plough and The Stars (National Theatre, London), A Particle of Dread (Field day /Signature Theatre NYC), Pentecost (best actress nomination Irish times, The Lyric Theatre), The Silver Tassie (National Theatre), Big Love and The Dandy Dolls Trilogy at the Peacock Theatre, Dublin; Blackbird at the Galway Arts Centre; The Wonderful World of Dissocia for Calypso; Sky Road at the Theatre Royal, Waterford; Further Than the Furthest Thing and Cruel and Tender at the Project Arts Centre, Dublin; The Constant Wife at the Gate Theatre, Dublin; Don’t Forget to Breathe at Bewley’s Café Theatre, Dublin; Tales from Ovid for Theatreworks; Days of Wine and Roses and My Children My Africa for Galloglass; Viola (Twelfth Night) for Classic Stage Ireland; and A Whistle in the Dark and Conversations on a Homecoming for Druid Theatre Company. Her appearances at the Abbey Theatre, Dublin, include Hedvig Helmar (The Wild Duck), for which she won the Irish Times Theatre Award for best supporting actress, The Wolf of Winter, A Doll’s House and Drama at Inish. Her film and television credits include The Fall (BBC), Out of Innocence (Telegal), Love is the Drug for RTÉ and Over the Wall (BBC). Radio work includes Doctor Who (Big Finish Productions) and Lotts Mother in Law (RTÉ).